Fairytale Fortune is coming from Pragmatic Play and it’s the typical fairytale themed slot, with princesses and dragons present on its reels. Fairytale Fortune doesn’t do a lot of things differently if you compare it with other slot machines that have the same fairytale inspired design. You still get images of a princess and a prince, there are diamonds, unicorns and dragons, along with less interesting logos or hourglasses, plus several card suits that have a good look. All things considered, it’s the expected design for a slot machine like this, which delivers in the background castles and towers, with rivers and waterfalls providing the setting. For Pragmatic Play, this would qualify as a good slot machine, above the average for their typical game graphics. Once you start playing the game, you have 15 active lines that you can use during each round, as you spin 5 reels. You get wins of up to $3,750 from its most rewarding symbols, along with a progressive feature where you contribute to, until you get its prize. There are also free spins, wilds, bonus symbols and bonus games. All in all, it’s a pretty good game, especially since its RTP is announced at 96.52%. Pragmatic Play asks its players to use 15 lines in this game, where up to 10 coins are selected for each one, with denominations that top off at $0.50. You can use 150 coins at most, or as few as 15 coins. Your bets can’t go higher than $75 or lower than $0.15. Expect to gain access to several features, some more typical for a slot machine than others. You have the Fairytale Fortune wild for example, a symbol that can pay $2,500 through its combinations, but which you can mostly expect to be a substitute for a lower paying icon. Bonus Diamond symbols are also there, as scatters that appear on three out of five reels. You trigger its bonus game if all three symbols are visible. You can land rewards of up to 50x total bet from the Wheel of Fortune feature, along with additional spins. You can also get free spins with raining wilds, or with super wilds. To top things off, the slot has a feature called Progressive Free Spins, with 20 rounds where you get to collect points during up to five levels, and then you can win a good payout. 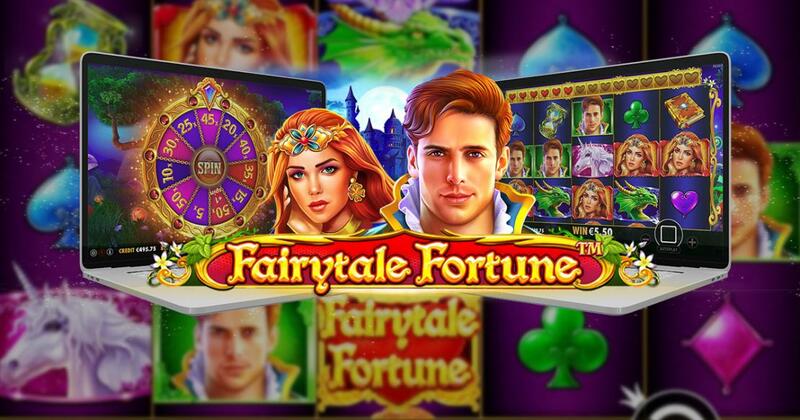 Fairytale Fortune has potential thanks to the features that it includes, while the RTP and graphics are also good reasons to give it a try.